As children we enjoy the entertainment and laughter we get from cartoons, fun characters and stories. As adults, we realize they were all filled with life wisdom, some of which we may have forgotten about. 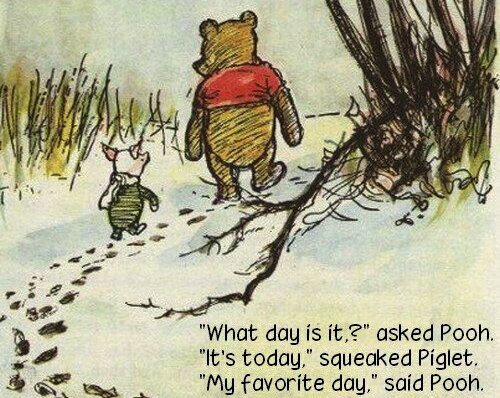 Winnie the Pooh has always been a great source of inspiration so here are some my favourite Winnie the Pooh quotes to help you live life to the fullest. 1. You’re a lot more than you think you are so believe in it and go for your dreams. 2. Appreciate every little thing in life and you’ll attract more things to be grateful for. 3. Always look at the bright side. It’s always there. 4. Make the best out of everyday. Every day is an opportunity to make it your best day. 5. Don’t forget to stop to enjoy life. When you slow down, you can see more clearly and appreciate things differently. OMG!!! What pearls of wisdom!!! I’m going to buy Winnie the Pooh for my nieces and nephew and myself! 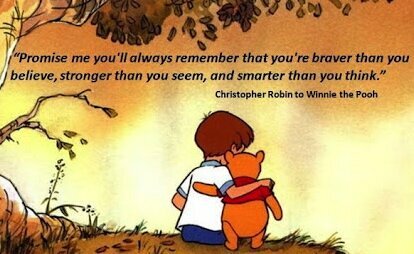 Can you buy the “braver than you think” picture anywhere? I would love to give it toy nieces and nephew . I’m sure you could buy the picture as a poster somewhere but not sure where – maybe Google it or search Amazon? Great idea to give it to your loved ones – it’s a great way to inspire kids (or anyone really) to be confident! Having read this I believed it was rather enlightening. I appreciate you taking the time and effort to put this content together. I’m glad you enjoyed this post and thanks for your kind words! Right here is the right website for everyone who really wants to understand this topic. fresh spin on a subject that’s been discussed for ages. Aww Cythia that is so sweet, you’ve made my day! Haha I’m quite good at debating but I’m always eager to discuss things as well to hear different perspectives – that’s what drives science forward & innovation in the world! So if you have any particular suggestions on topics, thoughts or perspectives, let me know & I’m happy to dig into them deeper.